Wang Zhizhi has always had hard. Of the three Chinese big men that defined the early 2000s; himself, Yao Ming and Mengke Bateer, it was been Wang who endured the most nonsense during his career. 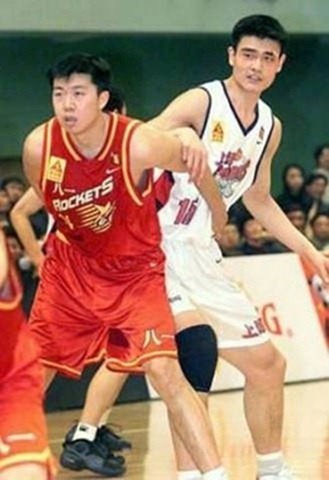 Quickly marked out as a talent for the future, Wang made his professional debut as an eighteen year old for the Bayi Rockets, one of the most successful teams in the history of Chinese basketball. The young big man averaged 21 ppg from 1995 to 2000, a five year period in which Bayi won successive CBA Finals without losing a game in the championship round. The overseas interest in Wang was obviously there but the Rockets seemed to have him nailed down and no-one in China saw him going anywhere. Then, and without any warning, Dallas picked him with the 36th pick in the 1999 NBA draft, having been encouraged to do so by Wang’s agent, Xia Sung. Shocked and unprepared, Bayi refused to release the player, who they knew was their only chance of stopping Yao, himself emerging as a young but unstoppable game-changer with an upstart Shanghai Sharks roster. The Rockets haggled and bickered with Dallas for months, only releasing their star big man once Wang helped another CBA title for Bayi (fittingly, against Yao and the Sharks). 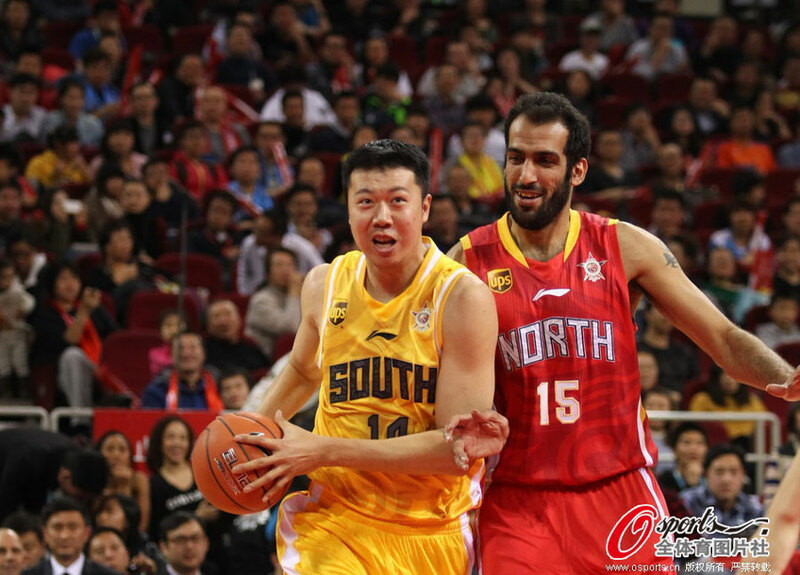 Even then, the terms of his release by the Rockets and the Chinese Basketball Association stipulated Wang was to return to take part in China’s National Games, a sort of March Madness for the Chinese provinces as well as a number of separate national team commitments. By the time Wang fulfilled all those obligations in 2002, his Dallas contract was essentially expired and a lack of playing time meant other NBA teams had little interest in the big man. The initially promise of Wang was over; drafted at 23, politicking by Chinese bureaucrats cost him several years of his career and the center was destined to become a journeymen in the NBA. To add insult to injury, the same summer he left Dallas, another Texan team drafted Yao, Wang’s longstanding rival, with first overall pick in the NBA draft. 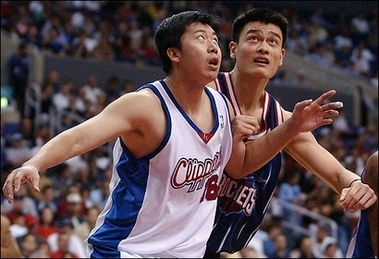 Yao’s entry to the NBA was quicker and much more heralded. In the meantime, Wang fumed in the shadows. Within four years, Wang would be back in China. Unable to mesh well in the NBA and finding the culture shock too much at times, the big man was in real trouble. Adding to his feeling of isolation was a longstanding expulsion from the national team, an insult that carries much more weight in the Middle Kingdom than it might elsewhere. Back in 2002, Wang had refused to turn up for a mundane national team practice session, choosing instead to stay in America and fight for his chances of staying in the NBA. When threatened with sanctions, Wang pleaded for forgiveness out of fear he might lose the one remaining professional connection with his home country. It was, though, to no avail. The same bureaucrats who blocked his path three years earlier now blackballed him from Chinese basketball for what they perceived as defiance. Fast forward to 2006 and Wang was running out of options. He had one card left to play and that was to try to return to the CBA. The powers that be in Chinese basketball duly trotted him out to publicly apologize whilst Bayi, now no longer automatic title favorites, gleefully reintroduced Wang into their ranks. The result was instantaneous; Wang would win Bayi a title the following year, averaging 26.4 ppg and shooting almost 60% from the floor. Having kissed the appropriate feet, Wang was also allowed to be selected for the national team after a four year absence. Belatedly selected for 2008 Beijing Olympics basketball team, the big man still had to watch Yao carry the Chinese flag during the opening ceremony. Wang, born and raised in the host city, knew that could have been him under different circumstances. The years that followed have been slow and uneventful. The Rockets, who are historically linked to the People’s Liberation Army (Bayi is a pun on ‘eight-one’ or August 1st, the founding date of the PLA), only field Chinese players and have struggled to compete once other CBA teams began to bring in proven overseas talent. The only bright spot in their terminal decline has been Wang, who loyally dragged his ailing body up and down the court for a team that has become an anachronism in modern basketball. Last year, Wang was still averaging 17ppg and 6.3 rpg as a thirty-seven year old with a history of injury problems. But last season was supposed to be his last. His body couldn’t take anymore and the sight of a broken Wang Zhizhi trying to lift his team did not make for pleasant viewing. The ride into the sunset could not have been better scripted with Wang making his eighth consecutive CBA All-Star appearance in front of a roaring hometown crowd in Beijing. Bayi though, were not paying much attention to Wang’s wishes. The Rockets went 6-28 last season, the worst finish in their modern history. No longer the glamour team that young Chinese prospects dreamt of playing for and still obliged not to sign foreigners, Bayi have nothing to save them. The only option left is one born out a cynicism that few professional institutions would try to emulate; force Wang, their icon, their hero but ultimately their meal ticket, to come out of retirement. Elsewhere, Wang could justifiably tell his former team, one that colluded with the China’s basketball czars to control his livelihood, where they could shove it. China, however, is a different world in which institutions have stronger cultural resonance– especially one like Bayi who are linked to the almost deified PLA. ‘If he is needed on the court, he will play’, an official from within the Communist Party National Committee is quoted as saying. Wang himself is also reported to have conceded, ‘As a soldier [which Bayi players are technically considered], I must obey orders’. Thus Wang may soon be donning his old jersey again, seemingly against his wishes. This is in stark contrast to Yao, who from a private box, watches the Shanghai team he once played for but now owns. The rest of Yao’s time is spent completing his university studies at Shanghai’s Jiao Tong University and flying out to Houston with his young family. At this stage, the talk of Wang’s obligated return are just anguished mutterings being played out across one of China’s sports websites– but it is also a rumor that seems plausible given the previous histories of Bayi and the CBA. Should Wang indeed come back, it would make for a jarring footnote to a career continually derailed by misplaced loyalties and the greed of others. Edit (20/11/2014): As expected, Bayi did bring Wang out of retirement.